Whilst overshadowed in Peru by Machu Picchu, the Lost City of the Incas, the evocative ruins of Choquequirao would be a major highlight in any other country, and it’s now received the accolade of being voted as one of the 20 world best destinations for 2015 by the prestigious magazine National Geographic Traveler. Choquequirao will be featured in the print issue belonging to the December 2014-January 2015 edition. “Choquequirao is a superlative destination due to its wealth of architecture that can only be compared with Machu Picchu” says Peru’s Minister of Foreign Trade and Tourism. Choquequirao means “golden crib” in the Quechua language. It is an Inca citadel located near Cusco, in the surrounding mountain area of Salkantay. It belongs to the archaeological park of the same name and comprises terraces, platforms, ceremonial areas, temples, canals, stairways and an important road system. 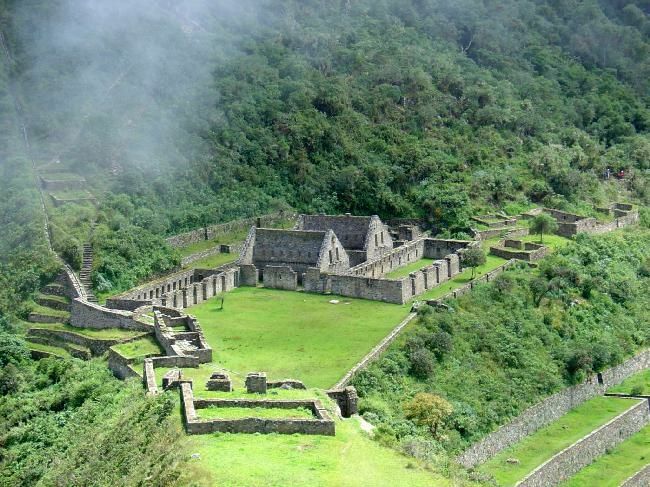 World Discovery can tailor make a Peru itinerary to incorporate a visit to Choquequirao. It involves some fairly stiff walking but it’s well worth the effort! Young elephant v 14 lions! 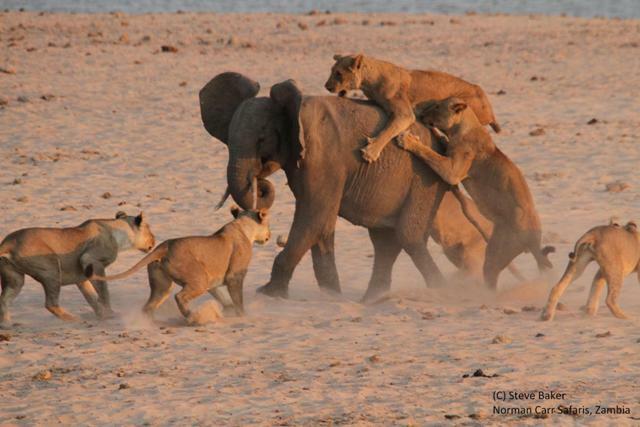 Take a look at this amazing footage of Hercules the Young Bull Elephant v Fourteen Lion!! This short video, captured by Steve Baker, a frequent guest at Norman Carr’s Chinzombo Camp in Zambia, shows how the young elephant somehow was separated from his herd when a 14 member pride of female lions descended on him. Clearly outnumbered, the elephant managed to bravely fend off the attack despite having three lionesses on his back at one point!